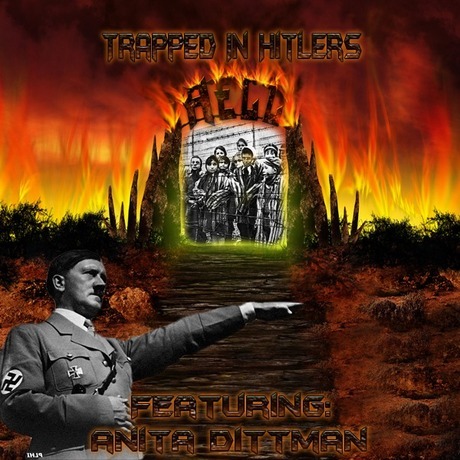 MESSIAH'S BRANCH Ministries and International Radio: Mission Watch Live - By Messiah's Branch - "Trapped in Hitler's Hell"
Mission Watch Live - By Messiah's Branch - "Trapped in Hitler's Hell"
Anita Dittman (A Born again Jew) was just a little girl when the winds of Hitler and Nazism began to blow through Germany. By the time she was twelve, the war had begun. The 86-year-old recently told attendees at Olive Tree Ministry's "Understanding the Times" conference that the 2008 campaign images of Barack Obama with halos around his head and the worship-like adulation from crowds gave her nightmares. The adulation offered by many to Obama has been well documented. Broadcast veteran Barbara Walters admitted what many news watchers have thought about people in the media and their adoration of Obama. "We thought that he was going to be – I shouldn't say this at Christmastime – but the next messiah," Walters told CNN's Piers Morgan.